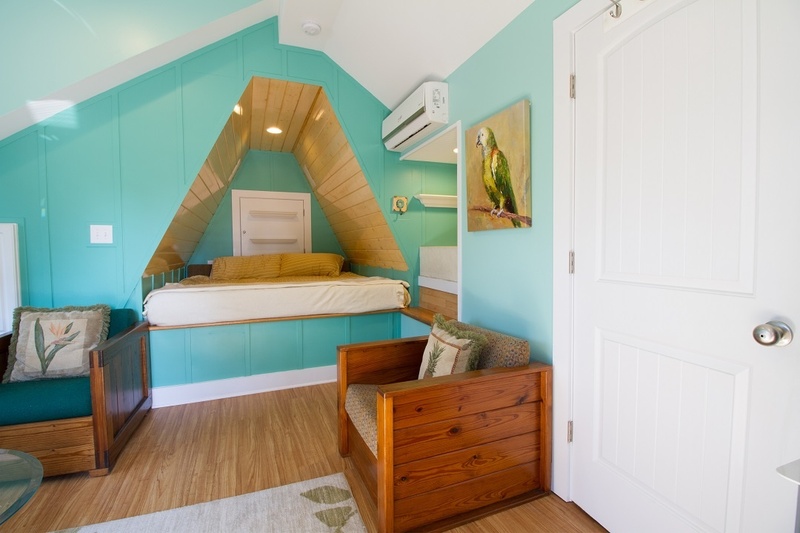 A cozy nook in this bright blue room holds a daybed. Perfect for snuggling, or reading a good book. 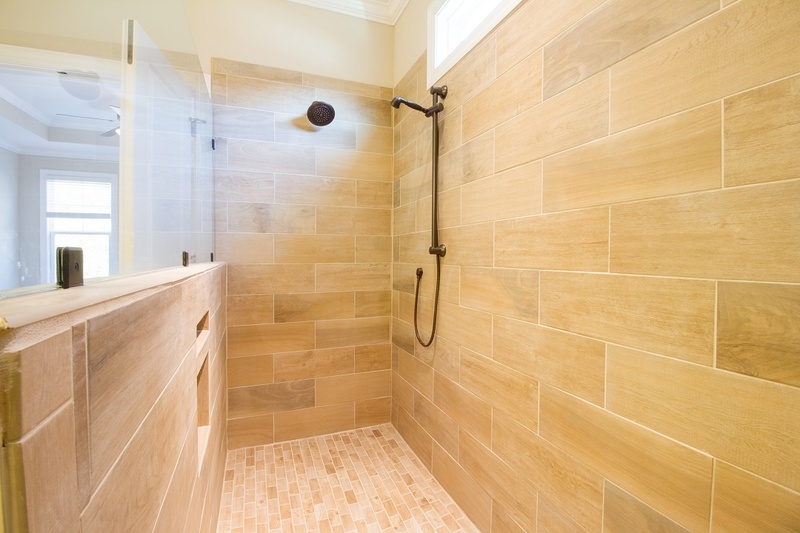 Walk-in showers are the latest luxury. You’ve heard that bathrooms and kitchens sell homes. This one would motivate any buyer to schedule a showing. 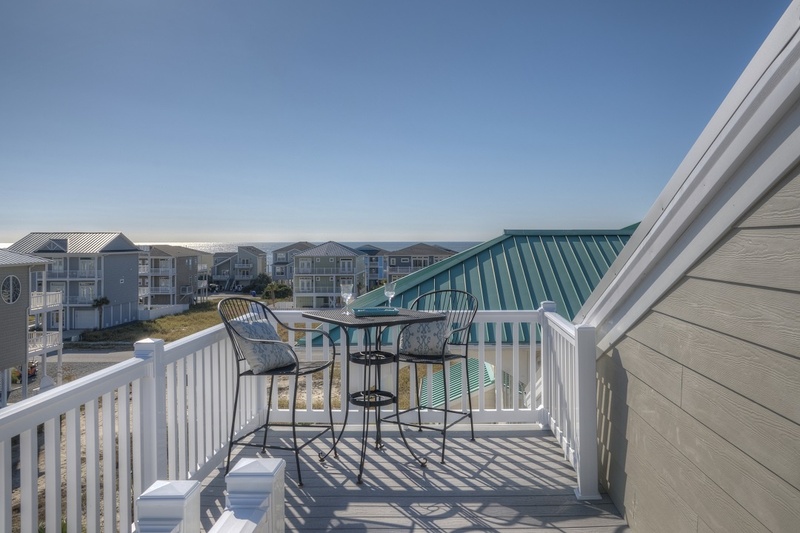 It may not be oceanfront or even Intracoastal facing, porches and balconies are great home-selling features. 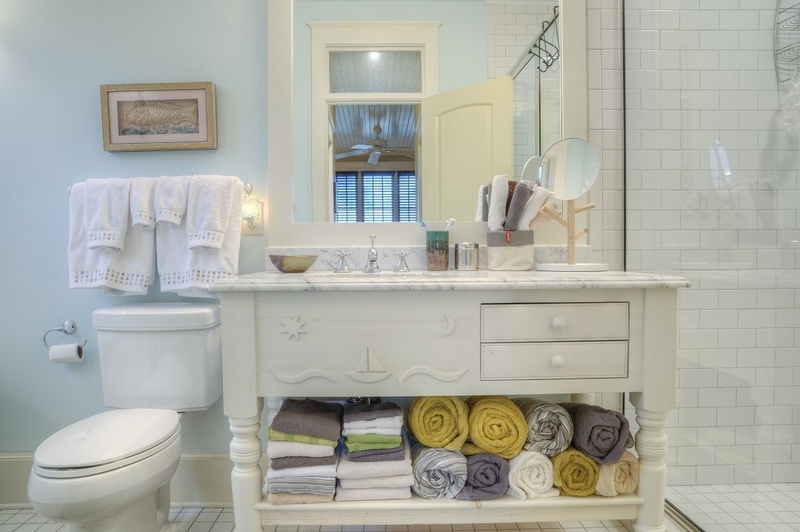 Sailboats and sunshine create a unique focal point for this bathroom, and show off the under-sink storage.